Jewellery is an inseparable part of women’s life. Now a day’s wearing jewellery is not just adding glamour to your appearance but also it states your sense of style and statement you create. If you are in search of artificial fashion jewellery that will lend bold and stylish touch to your appearance then you are at right place. 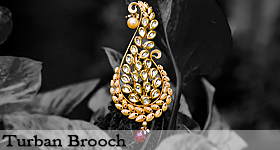 Anuradha Art Jewellery is best online imitation jewellery shopping stores which provide an exquisite range of artificial jewellery designed by a highly talented designer in India to worldwide customer. Anuradha Art Jewellery tries hard to meet the fashion jewellery requirement of modern women in all aspects. From office wear jewellery to bridal jewellery you will find an exclusive collection of stylish artificial jewellery for any look. Artificial jewellery at Anuradha Arts is a perfect blend of unique designs, best quality and excellent craftsmanship. 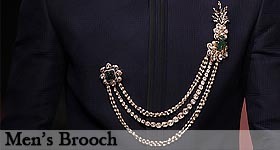 We are focused to keep our customer updated with the latest fashion jewellery trend. We not just provide ready jewellery but also fulfill the on-demand artificial jewellery customization orders. At Anuradha Art Jewellery you will find a beautiful collection of Indian traditional artificial jewellery which will complete your ethnic look, western jewellery to make you look outstanding, diamond jewellery to add ravishing touch to your persona, Kundan jewellery for feeling the royalness, Handmade jewellery for a natural appearance and oxidized jewellery for Vintage look. You will find the numerous categories of artificial jewellery and accessories here at our portal which is impossible to get anywhere else. 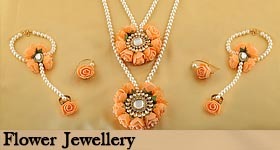 From hair accessories to jewellery making raw material everything is available under one store. So now, you no need to struggle and browse other websites for small jewellery piece or material, we are here to meet all your requirements. 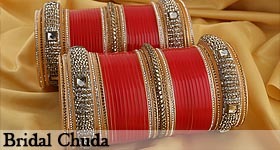 Now the question is why to buy from Anuradha Art Jewellery? The answer is very simple; we have the huge collection of unique imitation jewellery and we are not just focused on delivering the products but also try to enhance our customer online shopping experience. So girls, flaunt your fashionable taste and be in the spotlight by wearing elegant artificial jewellery from Anuradha Art Jewellery. Received some amazing oxidized nose clips. All perfect size!!! I have been very impressed with the customer service and support, these guys have best support system live chat and even this people send me images of product which were not there on website. Keep doing best ! !